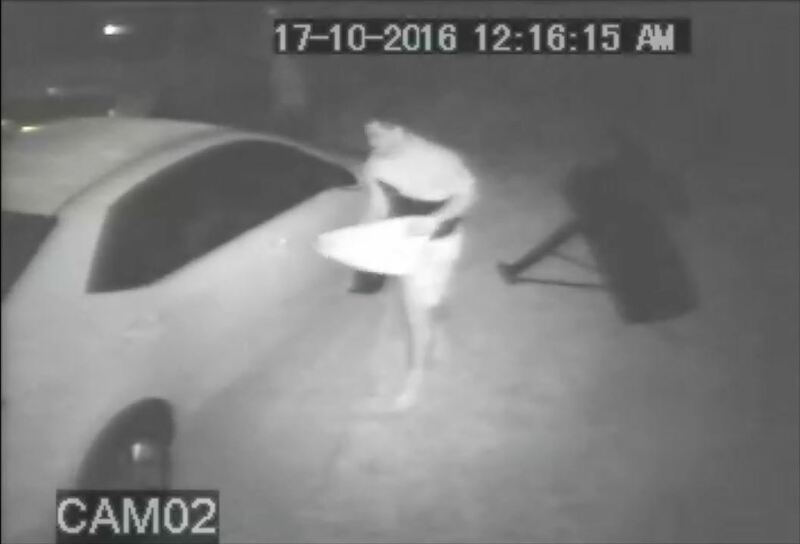 CAPE CORAL, Fla. — Cape Coral police are looking for an auto theft and arson suspect. Officers responded to a stolen vehicle call at around 5:30 a.m. on Oct. 17 in the 2700 block of N.W. 11th Street. Around the same time as the stolen vehicle, officers responded to a vehicle fire in the general area. An investigation revealed that the vehicle that was set on fire was the stolen vehicle. The video below shows who is believed to be the suspects responsible for the fire. Anyone with information is asked to contact the Cape Coral Police Department at (239)-574-3223.